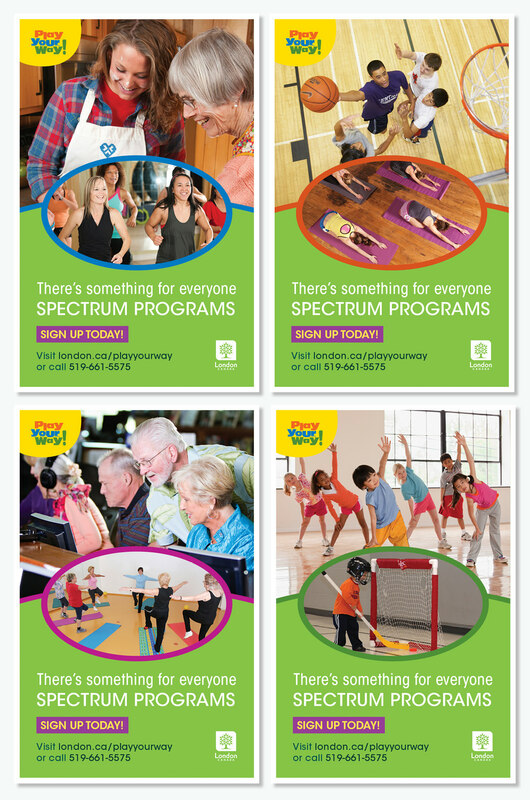 Hida Behzadi - Play Your Way! 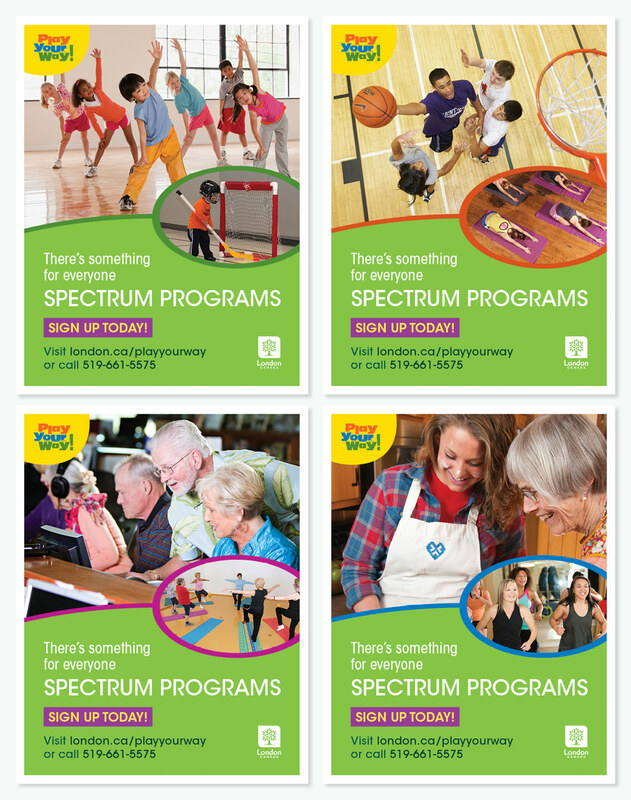 "The City of London provides affordable, accessible and equitable opportunities" for citizens of all age groups through Spectrum Programs. 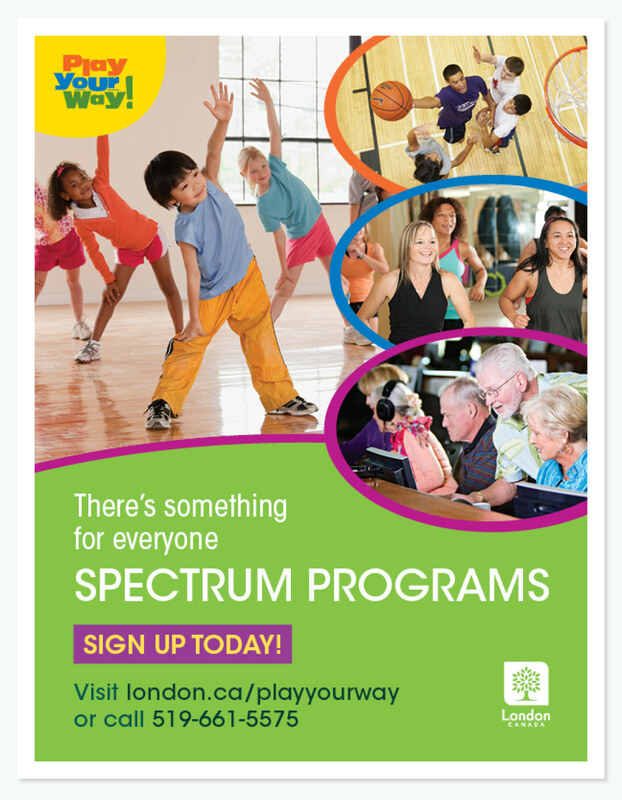 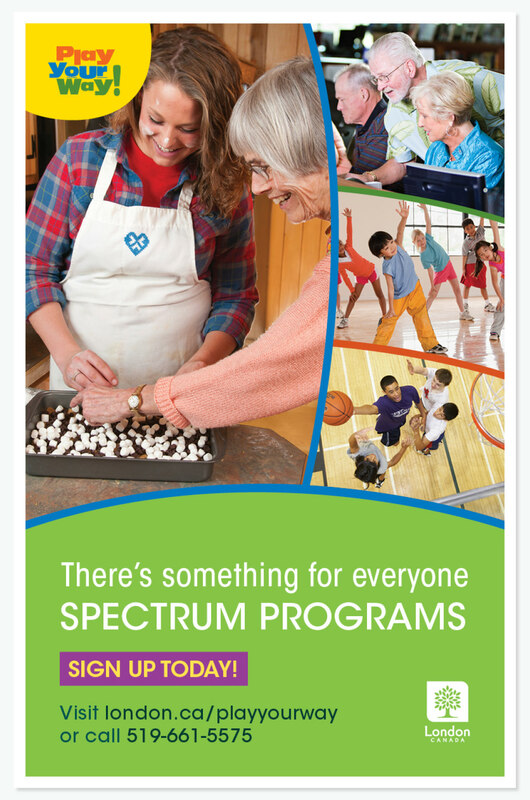 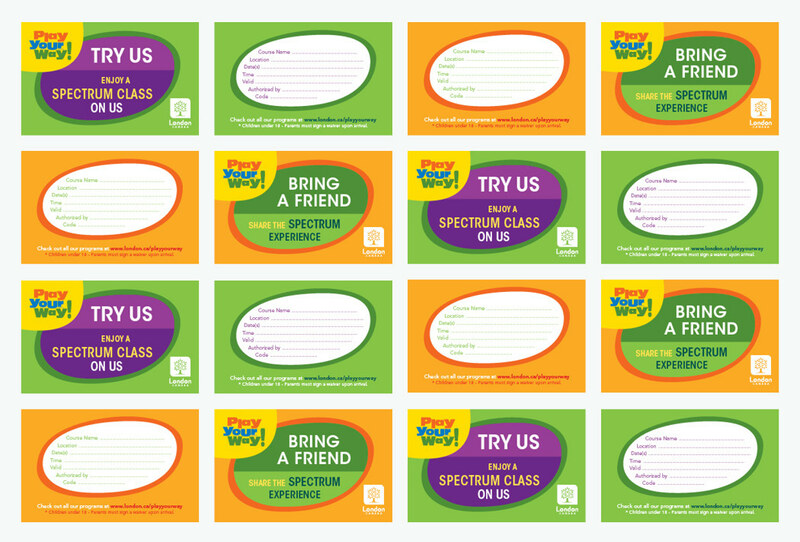 The City of London communication department approached me as a part of their effort to introduce the Spectrum programs to people and to highlight its diversity in terms of programs and age groups it caters to. 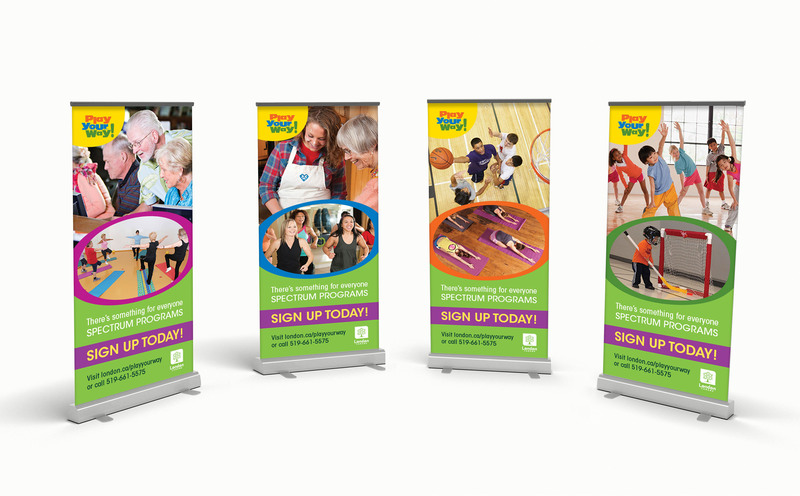 They wanted to create a professional but vibrant, friendly, and playful image, that would stand out when used as environmental graphics, and would attract the viewer's attention and direct them to the website. 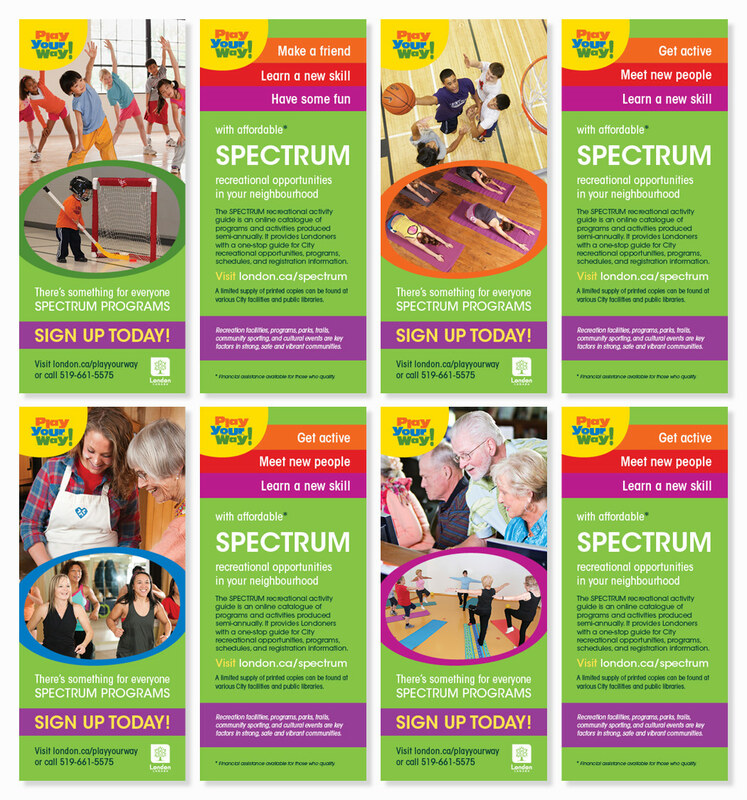 In result of this campaign, we created gym passes, flyers, stand up banners, and posters that are now used and displayed at public spaces related to City of London and its recreational activities.